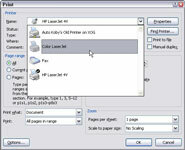 The Print dialog box in Word 2007 enables you to choose which printer to use to print your document, especially handy if you’re working on a networked computer with multiple printer options. 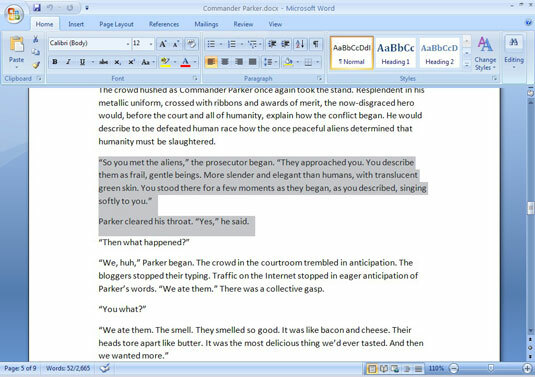 The Office Button hangs out in the upper-left corner of the Word 2007 screen. 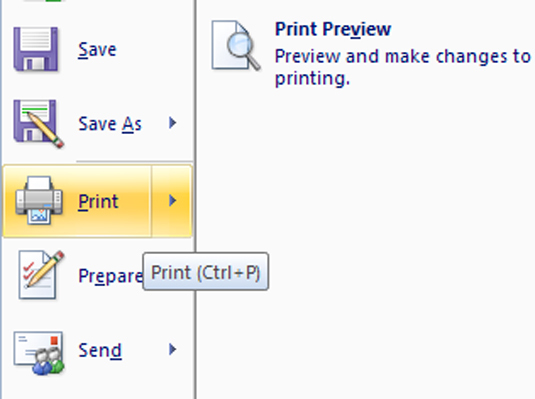 3Click the down arrow at the end of the Name drop-down list. 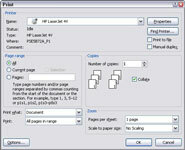 A list of available printers appears. 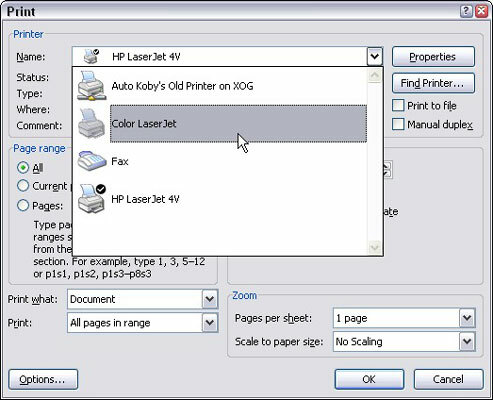 4Select a printer and click the OK button. 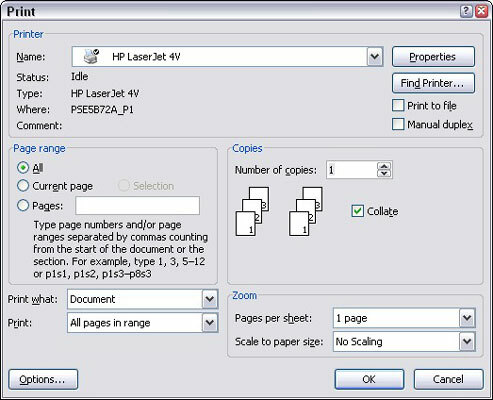 Simply select your favorite printer from the list.